I have recently had the opportunity to go and spend the day with school children as part of science engagement programmes. On one occasion, it was down to the wetlands with the local primary school where myself and Jamie Stavert went out with the students looking at the local biodiversity, armed with a few nets, an aspirator and some pottles. More recently, on another occasion Jamie and I also went down to Palmerston North to spend the day with high school students on the Indigenous Sparks programmeTM, organised through the PTC trust. The aim of the programme is to engage young Māori students with the sciences, who are traditionally underrepresented in the STEM subjects, and particularly so at the post-graduate level. On both occasions, it was incredibly obvious that the hands-on approach of getting students out of the classroom and into the field sparks that curiosity by giving students something tangible to engage with. Arm a kid with a net and challenge them to catch an invertebrate and chances are you’ll have trove of pottles filled with various specimens in no time. Make students sit down and listen to you talk for 15 minutes about science and chances are you’ll have bored them all to death. Unfortunately, for many schools, funding cuts and a general lack of resources mean that schools are having to drop field trips. This isn’t good news for inspiring the next generation of scientists. Although there are many amazing scientific experiments that can be conducted by anyone, anywhere (see Nanogirl’s 100 days Project for some neat ideas), it would be great to see more science-engagement for schools from universities. There are already some amazing people involved with science engagement initiatives with schools at a local and national scale. However, I’m sure there are many other people who could get involved. Plus, it’s really fun and gets you out the office for the day. The only downside is that it makes you realise how old you are. The PTC trust is a not-for-profit organisation that relies on the support from tertiary institutes/academics/students to further their Indigenous Sparks™ programme across schools in New Zealand. Please contact them if you are interested in getting involved (ptctrustinfo@gmail.com). Progress and technological advancement allows us the brilliant capability to receive goods from the other side of the planet in only a matter of days. This is a good thing for the delivery men who just 100 years ago would have had to suffer an arduous journey just for the yearly supply of salt. However, this decrease in vectoring time has meant that survivorship of stowaway critters has increased, as well as an overall increase in the amount of trade volume. In fact, it has been shown that the amount of trade may be the biggest indicator of how many invasive species are established in a given country, and this trade has steadily been increasing. So this may leave you wondering how do species become invasive, and move from the initial ’transport stage’ and proliferate into an invasive species. A unified framework for this process has been widely accepted and explains several stages from transportation, to establishment, to spread. This is important because between each stage are biological barriers that may inhibit species from moving to the next stage. Species can overcome these barriers, through increased propagule pressure (i.e. the amount of individuals being introduced), by being pre-adapted to the climate of the new environment, and perhaps by possessing certain biological characteristics. Why should we care about the process and not just focus on eradication? The associated effort and cost to remove a species increases as it occupies more area. The fruit fly incursion responses in 2012 and 2014 both cost around $2 million, and that was just the size of a suburb. The real goal and money saver while getting the best results would be to prevent a species from establishing and/or spreading in the first place, this is best done in conjunction with understanding the invasion pathway and bolstering the natural barriers that already exist. This is where my MSc project comes in. I am studying a data set spanning 60 years of interception data at the border, and records of spread within New Zealand to try and understand the reasons that non-native ant species have either been successful in establishing and spreading or why they have failed. In starting to really understand how these barriers affect success of species we can improve chances of successful prevention through risk assessment. Delayn Fritz is an MSc student in the Centre of Biodiversity and Biosecurity, School of Biological Sciences, University of Auckland. He is interested in the invasion process of ants (Hymenoptera: Formicidae) in New Zealand. He is supervised by Darren Ward and Eckehard Brockerhoff (Scion, B3). I struggled in achieving the Herculean feat of getting up before dawn today. Fortunately for me, I had help – my local tūī (Prosthemadera novaeseelandiae) decided to serenade the neighbourhood, a sound far more pleasant than the alarm on my phone. Not everyone is so appreciative, especially when the ‘dawn chorus’ begins well before its name would suggest. Timing of dawn song is influenced by a number of natural factors. For example, studies have shown that rain, noise from nocturnal insects, intensity of moonlight, and even individual personality can advance or delay the onset of dawn song. Of course, factors such as noise and light intensity can also be introduced into the environment as a result of human impact and urbanisation. The onset of dawn song has been found to be much earlier for urban birds than for their rural counterparts, a difference attributable to traffic noise and artificial light at night (ALAN). Urban birds have been found to sing earlier in the morning when exposed to traffic noise. And it’s not just road vehicles – birds near airports also advance their singing to avoid peak aircraft traffic in the morning. ALAN has also been linked to advancing morning bird song. There are many sources of urban ALAN, but a large proportion comes from streetlights. The effects of different types of streetlights on the timing of urban bird song is not yet fully understood, although there have been some indications that different technologies can have varying effects on different species. This is the area that I’m interested in for my research. I hope to determine whether changing the streetlights from orange (high-pressure sodium) lights to white (light emitting diode) lights makes my local alarm clock start serenading earlier or later in the morning. Coincidentally, I am also forever grateful to the inventors of audio recorders for enabling bleary-eyed ecologists to sleep through their data collection. Did you know that there are 27 species of native bees in New Zealand that are found nowhere else in the world? If your answer to this question was ‘no’, don’t worry – you are not alone! While most people are familiar with the ‘honey bee’ and ‘bumblebees’ (species that have been purposefully introduced to New Zealand to improve the pollination of crops), native bees often go unnoticed. Most native bees in New Zealand are solitary and nest in the ground. All native bees consume pollen and nectar, and have similar life cycles. Female bees construct the nests in which their young are raised by digging blind-tunnels in the soil or using pre-existing tunnels in plant material. Each nest contains a cell in which the female bees place all the food that their larvae will need. They then deposit an egg and seal the cell to avoid contact with that part of the nest until the new bee has developed. Male bees on the other hand spend most their time feeding, mating and resting. Native ground-nesting bees mating (photo by Anna Kokeny). During the active flight season (mid-spring to early autumn), thousands of individuals nest alongside each other, forming large communities. By the end of autumn, adult bees die but the larvae overwinter until they emerge in mid-spring and the cycle repeats! Native ground-nesting bee emerging from its nest (photo by Anna Kokeny). Studying native bees can be difficult as there are few ways to easily monitor them. As a result, there is much to learn about their populations, diversity and distribution throughout New Zealand. The aim of my master’s project is to investigate how soil characteristics influence the distribution of solitary-ground nesting bees in the Waikato and Northland region. In order to do this, I am analysing soil samples collected from sites with native bees and sites without native bees and comparing this to the abundance and diversity of native bees. Already, my summer sampling has revealed that the most common species of native bee within those regions are Leioproctus paahaumaa and L. imitatus. Collecting soil sample from a native bee nest site using a soil corer (photo by Anna Kokeny). The two most frequently asked questions I’ve encountered whilst collecting data were: “do they make honey?” and “do they sting?” No, native bees do not produce honey and will very rarely sting humans. So, why should we care about them? Native bees are key pollinators of New Zealand’s native flora. They are known to pollinate a wide range of plants including mānuka, kānuka and pohutukawa. Native ground-nesting bee laden with pohutukawa pollen (background yellow colour)(photo by Anna Kokeny). Native bee foraging on manuka flower (photo by Anna Kokeny). Also, surprisingly Leioproctus bees can open a mistletoe flower (Peraxilla tetrapetala) by biting the tip of the bud. The main pollinators of mistletoe are bellbirds and tūī, but since introduced pests have significantly reduced bird numbers, native bees have partially replaced them as pollinators (Robertson et al., 2005). To find out more about native bees join this Facebook group. This page is dedicated to NZ native bees – what they look like, where they live, what they do and how we can support them. Anna Kokeny is a MSc student in the Centre of Biodiversity and Biosecurity, School of Biological Sciences, University of Auckland. 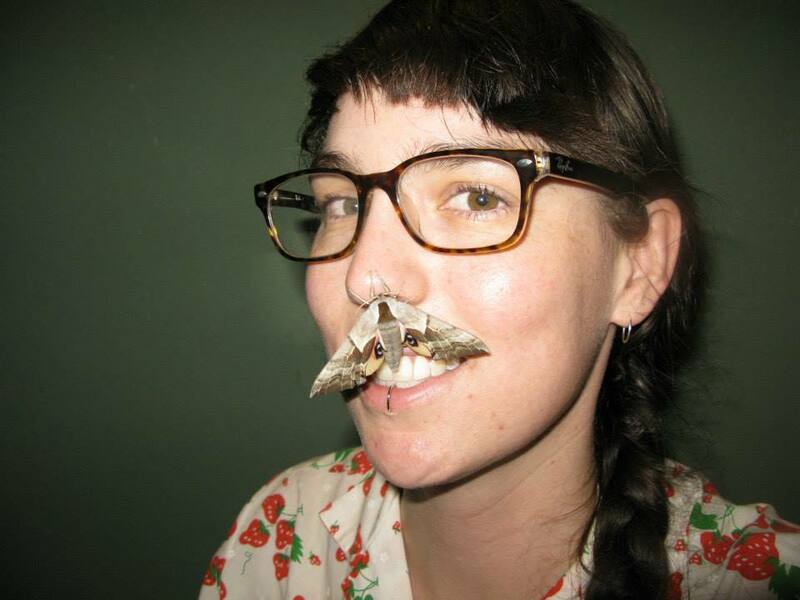 She is interested in the distribution of native solitary ground nesting bees in the Waikato and Northland regions. She is supervised by Jacqueline Beggs, Jamie Stavert, Anne Gaskett and David Pattermore (Plant and Food Research). My research focuses on trees, but when I look at the equipment I fill my car with when I go out to my field site, it looks more like I am an electrician. There are car batteries, cables, a bag full of tools, a laptop and lots more. Only a field notebook to record observations like Darwin or Humboldt have done it, is just not enough anymore. Nowadays most research involves specialised equipment to gather data or samples and advanced technology to physically or chemically analyse all sorts of sample materials. That can be daunting, but mostly it is just great to have so many toys to play with as a researcher. I rely on sensors to gather most of my data. A meteorological station records environmental data for me, sap flow sensors (that I partly built myself) measure how much water my trees are using and I use a little thing called Trephor to collect wood samples (see how in this little video). The newest additions to our toy collection are called radius dendrometers. They will very soon record the expansion and contraction of my study trees’ stems on an extremely fine scale. That will give me an idea about daily patterns of water storage and growth. When the parcel with that equipment arrived I was excited like a little child at Christmas, but very soon the daunting part started. I needed to figure out how to get them working, how to install them and there is always that little bit of anxiety, because all that equipment is ridiculously expensive since it is so specialised and only few people in the world use it. All these toys are great and playing with them is mostly fun, the harder part is the interpretation of the data they gather. Even though there have been many advances in how to get data the part where you have to make sense out of it to generate knowledge has not actually changed much since Darwin and Humboldt. To have a look at some cool toys scientists are using check out #girlswithtoys on twitter.